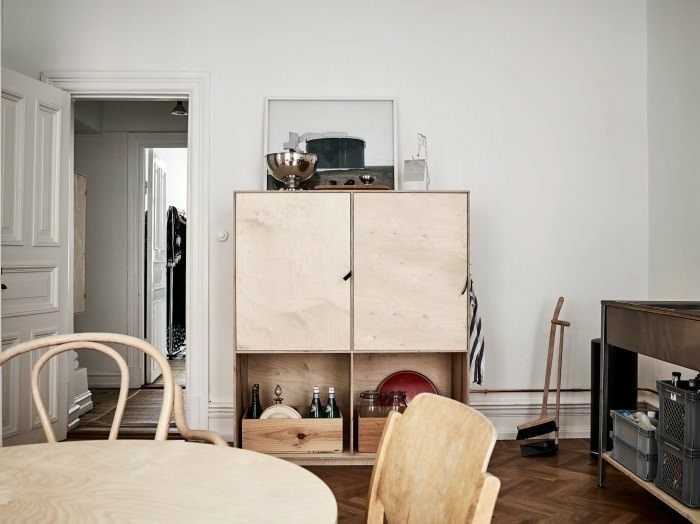 Hello lovelies – while i’m totally into the glossy look for our kitchen right now – i do love the thought of plywood in a kitchen space too. 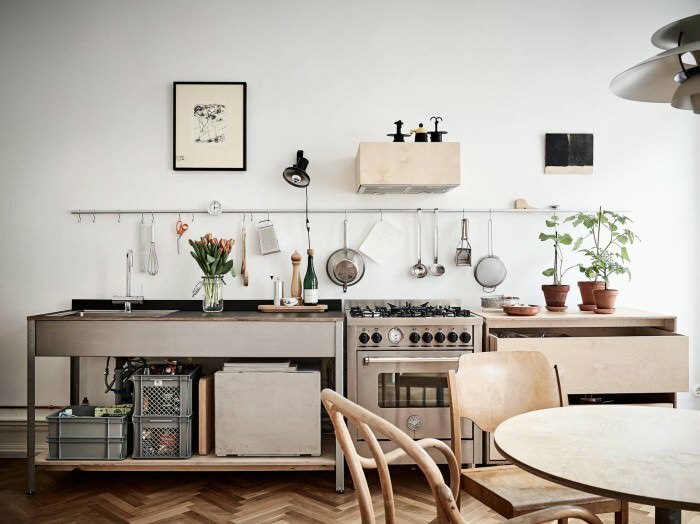 This home’s kitchen has that mix of old and new down pat – the parquet floors married with the industrial look and feel of the plywood cabinet fronts just does it for me – as do the loose cabinets and kitchen appliances. 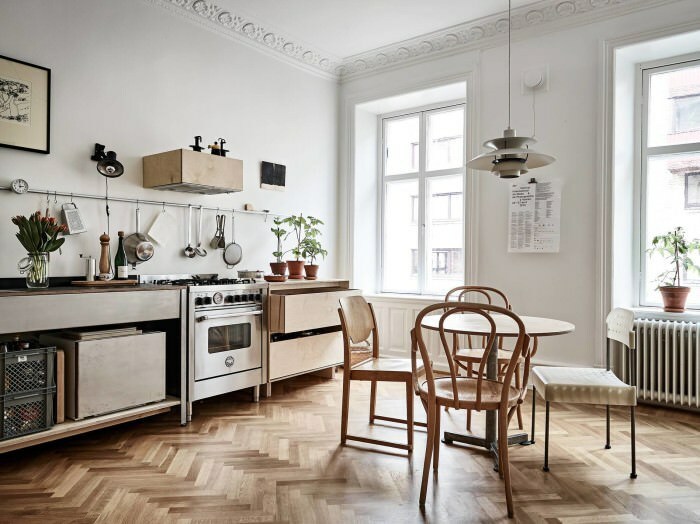 Things i love here – the mix of wooden chairs at the kitchen table, the open windows without curtains, the beautiful pressed cornices and ceiling roses and those wonderful tall panelled doors – all juxtaposed against a pared down collection of plywood essentials. 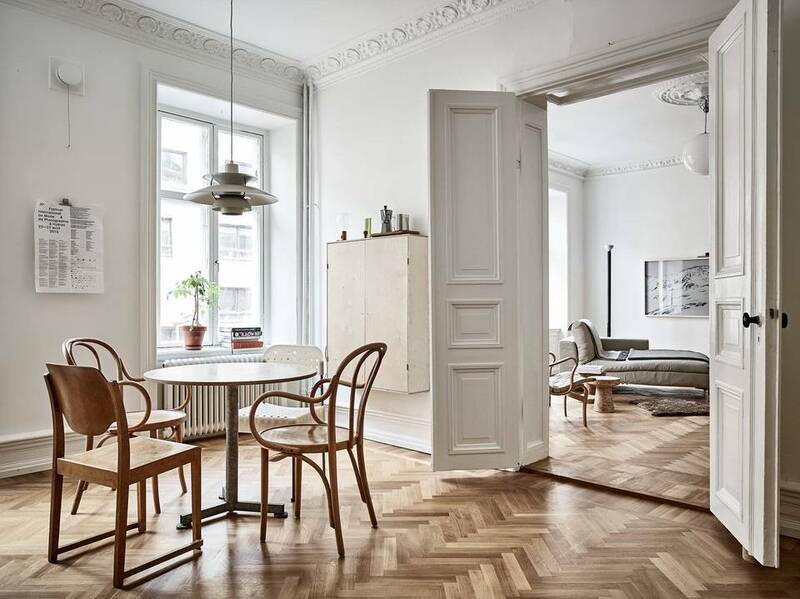 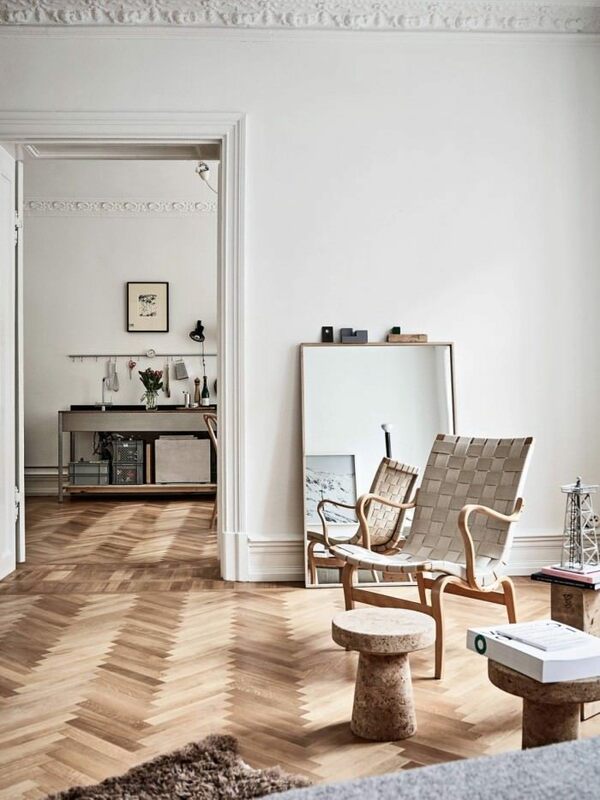 It’s a look that’s not for everyone but its one i like – and if i had to live in a period home, i’d seriously consider it.